The increased use of the reverse prosthesis over the last 10 years is due to a large series of publications using the reverse prosthesis developed by Paul Grammont. However, there is no article reporting the story of the concepts developed by Grammont. 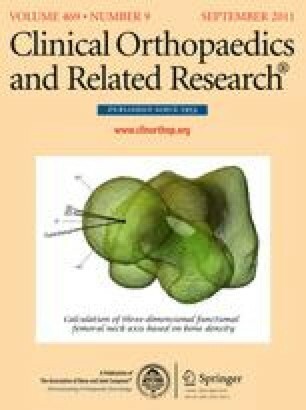 The purposes of this review are to describe the principles developed by Grammont, the chronology of development, and the biomechanical concepts and studies that led to the current design of the reverse prosthesis. We selectively reviewed literature and provide personal observations. From phylogenetic observations, Grammont developed the principle of functional surgery applied to the rotator cuff tears. To increase the deltoid lever arm, he imagined two possibilities: the lateralization of the acromion, which facilitates the action of the rotator cuff, and the medialization of the center of rotation, which has been developed to respond to situations of rotator cuff deficiency. Grammont proposed the use of an acromiohumeral prosthesis, which was quickly abandoned due to problems of acromial loosening. Finally, Grammont used the principle of reverse prosthesis developed in the 1970s, but made a major change by medializing the center of rotation in a nonanatomic location. In 1985, Grammont validated the concept by an experimental study and the first model using a cemented sphere was implanted. The development of the modern reverse prosthesis is the result of the intellectual and experimental work conducted by Grammont and his team for 20 years. Knowledge of this history is essential to envision future developments. Each author certifies that he or she has no commercial associations (eg, consultancies, stock ownership, equity interest, patent/licensing arrangements, etc) that might pose a conflict of interest in connection with the submitted article. This work was performed at Clinique de traumatologie et d’orthopédie.